Diadem Technologies is now listed as a featured Parallels Partner in their Plesk partner directory. This is in view of our long-term association with Parallels Inc for their suite of web hosting control panels and server virtualization solutions like Parallels Plesk, Parallels Cloud Servers, Parallels Virtuozzo amongst others which makes Parallels the provider of choice for web hosting automation and virtualization. Parallels Plesk 12 is the most secure web hosting control panel in the industry today with a full suite of WordPress Management Toolkit which includes WordPress plugin management, WordPress security hardening and one-click WordPress hardening. This ensures that your WordPress website stays updated and less prone to vulnerabilities and defacement which is becoming a recurring issue with WordPress websites which have not been updated to its latest versions. manually updating the plugins, themes and looking for vulnerabilities is not something which an end-user can handle well, therefore making Plesk 12 a must have for web hosts offering WordPress hosting solutions. 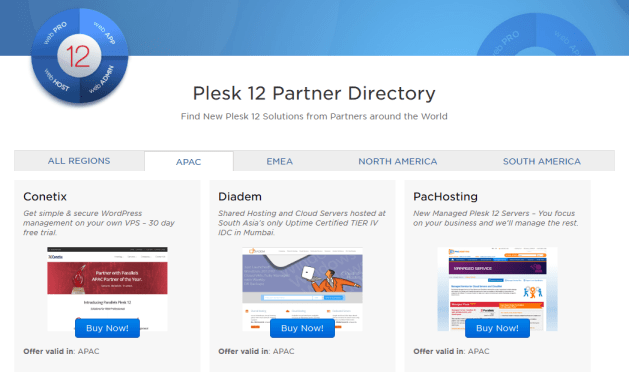 You can learn more about Plesk 12 and take an online demo at www.plesk.com. As part of our offerings, we are offering Plesk 12 across our suite of hosting solutions, which includes Shared Virtual Hosting, Linux Cloud Servers, Windows 2012 Cloud Servers and Dedicated Servers in India, at our South Asia’s only Uptime Certified TIER IV IDC in Mumbai. Parallels recommends select partners based on their past expertise and credibility in handling Parallels Plesk solutions and this recognition helps to strengthen our long-term association with Parallels ever since their inception. If you are planning to take advantage of the all the new Plesk 12 security features and are looking for a trusted cloud provider, drop us a line and our team we will be in touch with you soon to understand your needs and chalk out a managed transition to the latest version of the Plesk 12 control panel. ← New Server Deployments Ahoy !